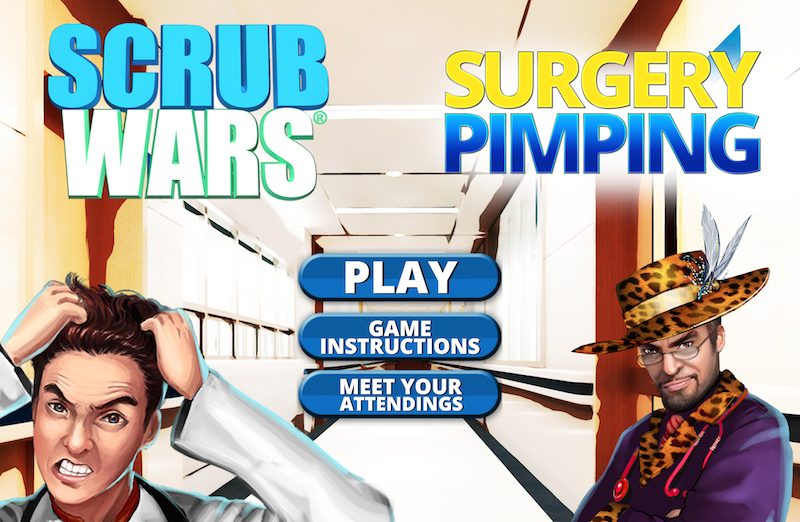 A couple of years ago, a partnership involving a physician and a healthcare administrator scored a hit with a mobile game called Scrub Wars. The quiz game was designed for medical students to help the learn and memorize many of the basic facts from science and medicine. Now there’s a new version of the game just for students in the surgery segment of their training. 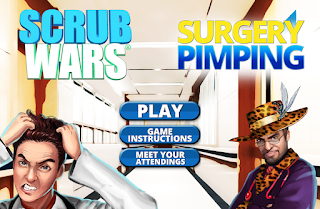 Scrub Wars: Surgery Rotation Pimping. The developers say that answering the game’s rapid-fire questions -- delivered through a spaceship shooter game -- helps students build confidence to answer the tough “pimping” questions they will encounter from surgeons on the wards. It can also help them review content for the the exams that are usually taken by fourth year medical students. The full version of the game includes 1,000 questions covering topics such as Common Surgical Emergencies, Surgical Pharmacology, Anatomy, Pre- and Post-Op Care, Burns and Trauma. A key character in the game’s story line is a character called Peyronie Attending. Think of him as a surgery drill sergeant who delights in humiliating and insulting students who fail to deliver correct answers. A sample version of the game containing a portion of the questions is available free in the iTunes App Store. The full version, with all of the questions, costs $9.99. You can get more details on the Scrub Wars website, in the video below and by following @scrubwarsapp on Twitter.